Natural health lifehacks |To Health WIth That! MTHFR, weight loss, gallbladder sludge and PCOS. Oh my! If you want to get healthier, feel better and enjoy increased vitality and zest for life, then you’re in the right place. Especially if you’re struggling with MTHFR mutation, gallbladder sludge, PCOS or another complex women’s hormone issue, or weight loss. Great health comes down to you making decisions about what you eat, drink and do with your body every day. My goal is to help you to make those decisions in the best possible way for YOUR body and your happiness. MTHFR, gallbladder sludge, PCOS and hormone balance and weight loss are areas of special interest and focus. In the To Health With That! Blog, you will find health lifehacks about MTHFR, gallbladder sludge, weight loss, PCOS, and plenty more. The blog, articles, and downloads are filled with as much information as I could pack into them to help you get and stay healthy in a way that actually works in real life. There are hundreds of ideas about simple changes to push your life in a better direction. Also, there is some random information thrown in about living a little more on the earth each day and getting closer to the things that really matter. If this isn’t quite enough, then check out the book, DIY Health: For Women. 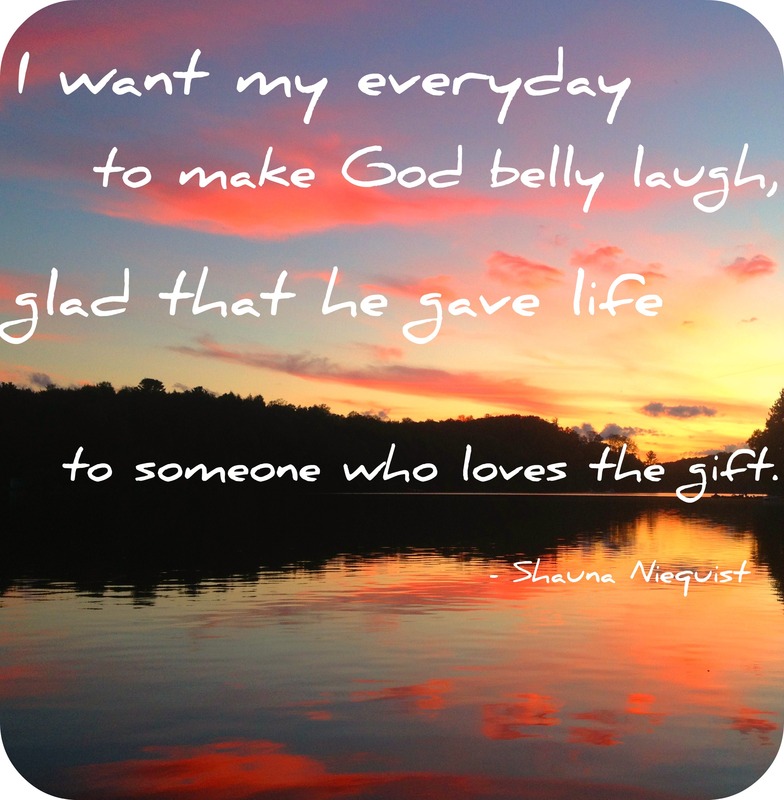 Amy Neuzil helps you to be someone who loves the gift – belly laugh and find pure freaking joy – here’s to making life sizzle and pop the way only great health can. If you have questions about something I write – especially about MTHFR, gallbladder sludge, PCOS or weight loss, leave them as comments and I’ll get back to you with an answer! A real-life answer from real-live me, although please be clear that for legal reasons I can’t give individual health advice this way. Written by Amy Neuzil, who in addition to being a natural health practitioner is also an author, blogger, teacher, speaker, MTHFR mutant and total freaking goofball. Hi! I have homozygous COMT V158M and COMT H62H. I have heterozygous MTHFR C677T, A1298C and 03P39P. I recently started out on 400 mcg of Methylfolate. I felt fine for two days then I felt suddenly super hyper for several hours. Of course this had me feeling a bit panicky as I already struggle with anxiety. I’ve been trying to learn about this stuff and I read that because of the COMT I might have trouble with methyl donors. Does this mean I should avoid vitamins with methyl in the name? And if that’s the case, then I don’t take any folate either? So confused by it all. I’m not sure where to start. Yeah – I have the COMT mutations too and they just throw a wrench into everything. First off, don’t freak out. If you feel really hyper, then reduce your dose of the methylfolate. 400 mcg might just be too much for your body. To clarify, methylfolate isn’t technically considered a methyl donor, it’s just the active form of folic acid (so you don’t need an additional methyl donor to activate it). But, getting hyper like that typically means the dose is a little high for you, so cut back. Does that help? Thanks for you post on this. After reading your article, I tried increasing my folate that I was already taking to about 2400mcg. For a duration of about 2 weeks, that was the best I’ve felt in my life within the last 20 years at least. However, after that, I reverted back to the same way I almost always feel. Tired, severe lack of energy, low mood. I’ve tried so many changes and combinations of more folate, less folate, more of other B vitamins, less etc for over a year now. Sometimes I will briefly feel better, but I can’t seem to do anything to return to how I initially felt. I once again lately tried higher dose of folate, which I haven’t tried in months. Again I felt very good for 3 or 4 days. Then reverted back to how I normally feel all the time. I’m not sure what to do? Does this mean I should try to increase folate further? Or is likely due to some other imbalance that it stops working? Usually, when I see this pattern (increase folate, feel awesome, then crash in spite of the same dose), it’s because there is something else getting in the way. In my experience that something else, is typically detox. So your body thrives on the higher dose, but then as things are going well, it starts to increase detox, which then makes you feel crappy. One of the big issues with MTHFR mutations is that many of our detox pathways rely on good methylation, and if methylation is a bit impaired then toxins build up. Naturally, your body leaps at the chance to eliminate some of the backlogs, but if you can’t do that effectively then it gets bottlenecked again. Does that make sense? This would be my first guess. If it isn’t detox, then it could be that you have another mutation somewhere in the methylation cycle that is also getting in the way. In terms of helping your body to detox, it can be really helpful to clean up your diet, check for food sensitivities and get rid of those, and start doing some gentle “detox” type activities like IR Saunas or even just increasing dietary fiber. None of this is easy, but in the long term, it will help your body and your symptoms far more than just throwing B vitamins at it. Once you’ve cleaned things up a bit in terms of your diet, then increase dose again slowly and try to really keep your lifestyle clean. The cleaner, the better. The more effectively you can help your body to detox, the more easily you can stay in the zone where you feel good. Let me know how it all goes! Thanks so much for this mthfr mutation information. I am wondering if you have also recommended a multivitamin to your patients while they are also on your recommended b vitamins/ methylfolate track to get their mthfr better under control. Yes! I really like the Thorne Research multis (Basic Nutrients III and IV, depending on whether or not you need iron, are my go-to products.) Vital Nutrients also has some really great ones. On both of those, check the dosage before you buy. They’re multiple capsules per day, which is great because for MTHFR folks it gives some flexibility in terms of increasing slowly, but some people can’t do 3-6 capsules per day long-term. Thanks for reading! Hi! I have a question that I can’t seem to find the answer anywhere.How much b12 do you suggest when starting at 1mg methylfolate supplement? It’s for a 6 year old. Her doctor wanted her on deplin but I believe in starting slow. Thanks! Great question. First off, I’d start one thing at a time, just so that you know what is causing what. If your son has any troubles, you can pinpoint the cause and also if he has any symptom relief you know what caused that too. Does that make sense? Once you get his methylfolate stable and to the right dosage then you can start adding B12. There are different B12 options to try – many sources suggest methylcobalamin (the active, methylated form) which is very rapidly acting and already in the active form so even if he has a compromise in the MTRR gene he will be able to use it. For some MTHFR folks that one is difficult to take, so in that scenario start with a hydroxycobalamin. This form is slower acting and does need to be converted to an active form, but can still be converted by folks with MTRR mutations. In terms of dose, the RDA for a 6-year-old is 1.2 mcg per day. This seems really low, but remember that according to the NIH, out of every 500 mcg tablet or sublingual, only about 10 mcg are actually absorbed. As with the methylfolate, start slow and judge by your son’s response. There are lots of liquid forms available so you can start with drop doses and work your way up. In good news, B12 is generally thought of as safe at high doses as well simply because it is water soluble and can be eliminated easily. So, this is not a very specific answer, but hopefully you have more of an idea about how to proceed. I am having trouble with the patient portal. I keep getting routed People’s pharmacy. Can you please send me an email that I can respond to? I have booked a short appointment with you (15 minutes ) on Friday at 9:00central – 10 your time. I missed a previous appointment because it didn’t notice the time difference and I couldn’t figure out how to contact you in advance to confirm. So sorry about that. I see we have an appointment this afternoon, so hopefully that will work out. I’ll also send you an email. Looking forward to talking! Do u consider folate okay for homozygous a1298c undermethylator? I have read this could cause problems with serotonin. If not, what level of histamine do you consider undermethylator? So – with any mutation, even the seemingly less serious ones, I think it’s better to use methylfolate. It’s kind of a low-cost gamble. It might be overkill, but then the price difference isn’t so much and it might actually be really helpful in reducing some of the MTHFR mutation consequences. As far as I’ve seen in the research there isn’t any risk to taking methylfolate instead of folic acid, so to me it seems like a good measure. I wouldn’t look specifically at histamine levels to judge under/over methylator – I’d look more at the spectrum of symptoms. Here’s a post on undermethylation and some of the symptoms to look for. Most people can easily confirm whether they tend to be more under or over. I hope this helps! Eric, I have the same mutation, a1298c, homozygous. I was reading Dr. Neuzil’s very helpful blog and came across your question. I have been struggling with this since my diagnosis about 7 years ago. My integrative medicine practitioner just started me on a product that is ground breaking. It is called – Neuro-Immune cream. You can see presentations about it online. I am very hopeful. I started on it in January. I have noticed some side effects as mentioned on Dr. Neuzil’s blog. I did not know about these when I started. I am going to take her advise of going slow and work up to the full dose. Hopefully this will help with some of the new symptoms of depression that started about 30 days into the new medication. So glad to have found this blog. Helps to have resources. Good luck. Are there any natural medicines and remedies to help with reading OCD? One of the most successful supplements that I’ve used for clients with OCD is inositol – typically around 4 g per day. Make sure that you talk to your doctor about it before you try it though, especially if you are taking any prescribed medications. I hope this helps! 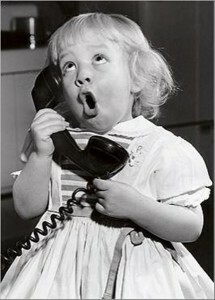 Amy, lots of confusion on your website about consult calls. a) It says THREE steps–only see one. b) Clicking on a lot of links on that page simply sends me back to the same page. c) I finally found a way to see a calendar for a free 15 minute consult, but the time slots are messed up on Friday. I’m sorry you’re having trouble! I’ve tried to make the process as clear as I can, but of course what makes sense to my brain might not actually make sense to anyone else’s. Here’s some information about new client visits and what to expect. Here’s the link to the scheduling page (which it sounds like you’ve already found, but just in case). Hopefully the Friday appointments have sorted themselves out – the electronic health record program that I use for both scheduling and record keeping has been a bit glitchy this week, but they assure me they’re working on it. Goodness that ferritin is low!!! I’m assuming your MD prescribed iron, but if not it’s probably a good idea to start taking some to build up those reserves. Of course you should run it by your doctor first because if they didn’t prescribe iron then there may be a reason based on the rest of your health history that I’m not aware of. The deplin is really hard for a lot of people to start with just because the dose is so high, but take a look at this article about getting started with MTHFR stuff. The basic idea is to just go slowly and start with a good multivitamin that has the MTHFR in it and once your body is used to that then add an additional MTHFR supplement if you need it. So good to hear from you! I’m so glad the gluten free thing is still working for you – me too. It changed my health completely when I stopped eating it. If I’m recalling correctly we had a couple of theories about your thyroid. One was that potentially the destruction wasn’t total and your thyroid is trying to regrow itself (which is rare, but certainly happens). The other was that some food that you’re eating was passing through leaky gut walls (typically caused by eating foods that you’re sensitive to that create inflammation in the gut and in turn loosen the boundaries of what is absorbed and what isn’t). The overly-large food particles passing through often look similar enough to your own tissues to cause an antibody response by your body. That would be my best guess. There are a couple of things that can help. One is doing a full leaky-gut protocol or something like the GAPS diet (which is amazing, but a little bit difficult to follow). The other is looking around to see if there is something that is similar to gluten or might cross-react (for me I cross react to spelt, kamut and a lot of the low or no-gluten grains that they make GF bread with. Sigh.) If this doesn’t make sense I will also email you the same information (the office forwarded your inquiry)- feel free to email me directly. I hope all is wonderful in your world! I am a 31 yo black female & I have type 2 diabetes, and PCOS. Because of the PCOS I have a lot of hair on my body including my face and neck, are there any natural ways to decrease the hormones increasing hair growth? I take glipizide and metformin. I would love to eliminate those medications with a healthy diet. I have one child( 3years) and would love to have more. I’ve had normal periods since I stopped breast feeding. I have been consuming s shake that has cacao powder, flex seed, cranberries, soy milk, almond butter, honey. I take pycnogenol, and grape seed pills. This is helping decrease my A1C. But my hormones are out of whack and I can’t loose weight I stay at 230-240lbs. Eve when I was pregnant I stayed in that range! Any suggestions? I considering trying this Gastric bypass alternative diet! By Don’t Karal? Thanks for writing! The best thing to keep the hormones (and hair growth) in line is getting those blood sugars down, but there are a couple of other strategies too. First off – have you tried a paleo diet? I’ve seen that be really helpful for a lot of women with PCOS. It’s a little difficult to transition because it’s so different from the way most of us normally eat, but essentially you’re switching to lots of veggies, small amounts of fruits, small amounts of meat and no grains (!!). It’s a big change but for a lot of people it really brings the blood sugar and weight down and with PCOS it helps to normalize the testosterone levels. The other thing that can be really helpful is myo-inositol. The suggested dose for PCOS is about 4 g per day. You can add it to your morning shake, although unfortunately it tastes super sweet (don’t worry – there’s no sugar in it, it just tastes that way). There is a lot of research showing that it strengthens ovulations and helps to boost fertility and also lowers the testosterone. Give it a shot and let me know how it all goes for you – I’d love to hear back. Can you tell me how much the remote health cosching costs? I had an appointment, but with an extremely tight budget and no success finding a fee schedule, I felt compelled to cancel for the time being. The first visit is 1.5 hours and it’s $195. Follow-up visits are typically 30 minutes and they’re $85. You set the frequency – it can be as infrequent as once a month to start and as needed when you are on a good track, or more if you like more hands-on. There’s more information for new clients here. I hope this helps! I’m new to this world of mutants, having just found out that I am homozygous C677T. I stumbled onto your website after reading Dr. Lynch’s website, wellness mama and a site run by doctors out of Sydney. It’s all a little overwhelming. A health coach sounds ideal since I don’t like to go to the doctor and the first time I’d been in 13 years was to the ED after a stroke at 42. We are cash-pay patients so the fact that you don’t accept insurance doesn’t scare me away, but I’m wondering if you provide itemized bills that can be submitted to our health care sharing network. Itemized bills need to include: Name, address & phone number of provider, name of patient, date of service and cost, discount and description of service. I look forward to hearing from you. sorry, the 1 dosage of 81 mg is a bayer blood thinner every day. I am 10 weeks pregnant and I have MTHFR. My OBGYN put me on Enoxoparin blood thinner injection every day for MTHFR, 1, 81MG every day and 7.5 mg of L Methylated folate every other day. I also take Nordic Naturals DHA/EPA, and Rain Bow Light prenatals every single day. The prenatal has folic acid in it though and the OBGYN said it wouldn’t hurt. I was recently put on blood thinners and folate and I have noticed a big decline in my mood in a matter of days, leading to depression. Could my dosages be too much? I also started breaking out in pimples on my chest which is not normal for me. I have a history of seasonal depression too, but prior to getting pregnant I was only taking my prenatal and dha daily. I was fine taking only those medications up until now. The high dose of the L-methylfolate could contribute to depression – it’s known to reduce serotonin. The issue is that when you’re pregnant we have to make sure your baby is getting enough of the methylfolate for it’s development, so if you can continue to take it, it’s best overall. Otherwise there are risks of spinal cord defects, midline defects and changes to their genetics that could last for your baby’s lifetime. If the depression persists it’s a good idea to talk with your OBGYN about it – it’s possible that an antidepressant short term would help to balance things out. I know it’s not a perfect solution, but it might help. The 7.5 mg every other day is pretty high dose for people who are sensitive, but we want to make sure baby is taken care of, so??? Keep me posted – I’d love to know how this all goes for you. Can one combine hydro-B12 and methyl-B12? Great question! Yes absolutely you can. For a lot of people methyl-B12 gives them a bit more “zip” when they take it, but the hydroxy form is a bit easier to tolerate, so yes. You can combine for sure. Hi, I have compound heterogyneous mthfr. I have tried taking methyl b12 250 mcg and Methylfolate 500 mcg which gave me anxiety followed by depression! Horrible! Stopped taking it and have been making green smoothies, eating very healthily with meat, eggs, fruit and lots of veggies and feel good. Should I just keep doing this or try supplementing again. Very confused! Please help. Just wondered if you had any thoughts on this….Ive been seed cycling for 5 months (i think) after suffering from amenorrhea. I have put on weight and have been experiencing hormonal fluctuations (i used to get spots on my neck before my period which have come back). On the second phase of my cycle, when I’m taking sunflower and EPO(1000mg), my mood swings are quite bad and I’m quite emotional/tearful. I also suffer from bad oedema, swelling from waist down. It does settle, but I’m wondering if this co-incides with my cycle/moon pull. Have you experienced this before? It sounds like your progesterone could be getting too high. Are you using the sesame seeds or just the sunflower? The sesame seeds have a reasonably dose of lignans in them, it could be helpful to keep balance a little. If you’re using both seeds and the EPO it could just be that your body is in an awkward re-starting phase where it’s trying to figure things out before your cycle actually gets started and balanced. When your cycle has been stopped for a while sometimes it takes your body a while to sort things out. Because you’re having symptoms that you used to associate with parts of your cycle it sounds like your hormone levels are coming up and that your body is trying to get back to normal, but it also sounds like you’re in the messy phase between not having a cycle and having a good cycle. My guess would bet that it’s just awkward and will take a few more months to sort out. The symptoms you describe sound like high estrogen symptoms, so if you go a few months and it’s still happening you could try carrying through a half-portion of the flax seeds in the second half of the cycle in addition to the sunflower and sesame. Just to try to manage any excess. Also make sure you’re working with a good gynaecologist because there are many causes for amenorrhea and it’s important to make sure there isn’t anything serious happening. Keep me posted – I’d love to hear how it all goes! I think if you add the flax (for the lignans that would normally be in sesame) then it should balance out and hopefully no need to cut the dose. Worth a try anyway! I have a persistent, mild anxiety disorder that causes problems with fatigue, insomnia, and irritability. Even though I’ve cultivated healthy practices with food, exercise, and meditation, the problem seems intractable and disruptive. I’ve recently become intrigued with the idea that the stresses throughout my life (starting with severe and extensive bullying when I was a child) have kind of “hard-wired” the chemistry of my body to have those excesses and/or deficiencies that contribute to anxiety. Cut to the chase: I had a checkup with my doctor yesterday and I asked him if I could have the MTHFR genetic test to determine if I have the defect that could cause folate deficiencies. He was unfamiliar with the test and seemed skeptical, particularly with regard to the high cost of genetic tests. But he did think it was fine to try out the L-Methylfolate to see if it had any beneficial effects for me. Do you think this is advisable, to try this without actually determining if I have the defect? If so, what kind of dosage would you recommend? I’ve also heard that there was research into another type of blood test that measure acetylcholinesterase levels (of which high amounts might contribute to a state of anxiety). Sorry for the length, and I appreciate any advice that you can provide. I think it’s completely worth it to test if you can (have you looked into 23andme.com? It’s a lot cheaper than a lot of the medical testing and actually gives you more information). If you can’t test then it is okay to start supplementing, but just like you would with a confirmed MTHFR mutation, start supplementing at a low dose. Most people start around 200 mcg and increase from there. Most people without the mutation don’t notice any adjustment reaction, but often people with the mutation will feel a little weird those first few days of supplementation (and I’ve seen one person with no mutation who couldn’t tolerate 5-MTHF at all, so having a reaction doesn’t confirm a mutation). I think it’s completely worth a try, just remember that this is re-nourishing your body and also slowly starting to clear through any backlog of detoxifying so it can be a slow process, but so worth it. I’d love to hear how it goes for you! Am glad I came across your blog. Will be trying your inputs at sludge cleanse. So glad you’re here Savika! Hi there! Do you treat leaky guts? If so, what are your rates? I work with a lot of clients who have leaky guts (seems like all of us these days) but I wouldn’t say it’s a specialty, just something that seems to happen a lot so we address it along with everything else. Here’s all of the information for new clients including pricing, length of visit, etc… I hope this helps! I’ve just come across your information on seed cycling. This looks fascinating. Can you provide information/direction on how to do this post-menopause, specifically, how does one know when to begin? Great question! After your natural cycles have stopped, I typically revert to the lunar rhythm. So start the flax and pumpkin seeds from new moon to full moon and the sunflower and sesame seeds from full moon to new moon as in this article. I hope this helps – if you get a chance let me know what you notice after a few months! Thanks! I will begin with the next new moon and get back to you in the fall. Love your site, glad I stumbled across it. Hello dr. I am 30 years old in generally good health and in the last 9 months after dropping 80 lbs and keeping it off for almoat 2 years have balooned back up 70lbs my feet are constantly swollen despite the rubbing soaking elevation and water pills….i dont sleep very well EVER and i am at my wits end. I have had blood tests that rules out hearr kidneys and lungs for the edema and to add the no sleep and huge and sudden weight gain…i believe it it stress levels and hormones….please help or let me know what you would suggest! I just want to be beautiful and happy and normal again. Wow – first off, congratulations on dropping the 80 lbs! That is such a huge accomplishment. My first suggestion would be to stop the water pills (if they’re over-the-counter. If they’re prescription then don’t stop them, just add lots and lots of water) – I know it sounds counter-intuitive but often taking diuretics can cause your body to hold more water because it’s protecting itself against dehydration. Also increase your water intake and make sure you’re getting 10 8 oz glasses every day for a couple of weeks. Often people will say that all of a sudden their body starts letting go of water and the swelling goes down. Another thing you might want to try is a food allergy elimination diet – it’s not easy, but it’s SO worth it! If you’re eating a food that is causing inflammation then it causes your body to hold water and also to hold weight. These food sensitivities can develop suddenly as an adult so it could be something that you’ve been eating your whole life without problems. Here’s some more information about that. The stress levels and sleep is a huge issue too and that could be the culprit – and if that’s it I suggest working with a good practitioner because this one isn’t one-size-fit-all. You need someone who can work with you in real life and find ways that work for you. Great luck Ashley and keep me posted! I had my gall bladder removed about 14 months ago and it really hasn’t helped that much. My gall bladder was functioning at 20% but I wish I would have looked at alternatives to surgery. After it was removed, I just have diarrhea all the time. And about two weeks ago, I had white stools again. I went right to my doctor who did both blood tests and ultrasound, everything coming back normal. ??? My stools have gone back to brown but I’m still very bloated, gassy and shift from constipation to diarrhea. Lovely. After the white stools, I really kicked in gear a liver supporting diet – beet root, carrots, dark greens, lemon, low fat protein, whole grains, but still things doing feel “right” down there and I wonder if anything you have suggested to others might help settle things down a bit. Still, it’s a worry to have white stools even after the GB came out! Ugh. Yes I hear that so often – that people have had their gallbladder removed and still have the same problems they came in with in the first place. It sounds like you’re on the right track, but for more information I wrote a post about it here. I hope this helps! I’m not sure, but I’m pretty into “zest” myself so maybe so! Start with this one – I know a lot of us MTHFR folks are finding we don’t have as much zest as we’d like but fixing your MTHFR can really help. If that doesn’t seem like you then take a peek around and see what might fit. Let me know what you find! I used to be in the Austin area but I’ve moved to Canada and now see clients from there remotely. I don’t have experience with cysts on Kidneys as a separate issue, only as a part of the complex that can happen with PCOS. There are a lot of great docs in the area though – I think John Finnell might be able to help – he is the director of the doctoral program at AOMA (the school for acupuncture and holistic medicine) and sees patients in their professional clinic. Hmmm. So – it seems like some people absorb the topicals really well and some don’t. Because of that I’d start you on a WAY lower oral dose than you’ve been taking topically. Even down to 400 mcg of the MTHF. You could probably start with 1 mg of the hydroxycobalamin sublingual, but listen to your body. Start each one individually and watch for adjustment reactions and side effects before you add in the other. The P5P and Vitamin D3 shouldn’t cause too many problems, those you could convert dose for dose. I’d love to hear how it goes for you if you get a chance! I started to have itchy skin about 2 years ago and I thought it was a menopause symptom. My nutritionist asked me to do the genetic test which discovered my MTHFR mutation. My homocysteine and B12 in blood were over the roof. The methylfolate I take seems to bring the homocysteine down but B12 is still high after 6 months. My itchy skin is better but not totally gone. Is there a reason for the high b12 in blood? I eat mostly vege and carbs, rarely eat meat. The itching can also be if you’re body is trying to detoxify and can’t quite keep up, or if your liver is struggling a little bit. Hmmm. So are you still taking any B12? It’s water soluble and usually flushes out reasonably quickly, but if it isn’t flushing out then I’d talk with your doctor about further testing. There are some liver diseases that will cause high B12 in the blood, and it’s sometimes seen with diabetes so it’s certainly worth investigating – especially since both the itching and the high B12 point to liver. Talk with your doctor and if you don’t mind, let me know what they tell you – I’d love to hear about it. My son is 6 y/o and has autism. He has the MTHFR mutation. Can you recommend a good product that can come in a chewable form? Any suggestions on what dose to start on? B12 and methyl folate can be incredibly helpful for kiddos with autism, but typically they are also more sensitive to side effects so start with the lowest dose you can find and work up slowly (S.L.O.W.L.Y!!) The first few days you try it there can be a bit of an adjustment reaction even for adults, so that is normal, it’s only abnormal if it persists. I am not the autism expert – I’d point you to Dr. Amy Yasko for that, she’s amazing. In terms of chewables the only one I’m familiar with is from Dr. Ben Lynch – Seeking Health Chewable Active B12 lozynge with 5-MTHF. For a kiddo (especially a little kiddo) you’ll have to cut them as small as possible. You could even start just shaving off a corner and giving that. I know it sounds crazy, but I’d rather be conservative and not overdo it! Good luck! Thank you so much for your answer. I plan on being very, very conservative. I appreciate the recommendation so much. I will let you know how it goes! I have heterogenous genotype for MTHFR 677T and A1298c polymorphisms. No way to tell for sure, but my guess would be that it’s too much too soon (at least I’m guessing that resting on the assumtion that middle-of-the-night panic-attacks aren’t your normal). Amazing how even a small amount can be too much, right? Can you cut the tablets or take a portion of the powder out of the capsule? Give it a try! Thank you for the post regarding gall stones/gall bladder pain! I have the typical symptoms of gall bladder issues (pain in upper right quadrant, sometimes radiates to right shoulder blade). The pain started about 10 days ago. It is not as severe as it was during the first few days. I am avoiding most fat in my diet, drinking lots of lemon water, and water mixed with lemon/ginger/cucumber/mint. After reading your blog yesterday, I started the Phosfood Liquid, Livaplex, and Milk Thistle. I have been eating lots of fiber, but will add the Fiber Plus today as well. I understand from what I have read that one can wait an episode like this out, unless of course there is fever, vomiting or jaundice. I have none of those, and the discomfort is more annoying that actual pain. My question regards how long does such an episode usually last? When I read about this elsewhere online, most “attacks” are over in an hour or less. Since this isn’t exactly an “attack”, what should I expect? How soon should I start to see this fade? Second question – once these symptoms subside, are most people able to go back to regular diet (i.e., include a bit more fat) while continuing with the supplements? Wow – !!!! You hit it right on the head. I also saw my primary care physician. She completely agreed with your assessment and suggestions. She doesn’t think this is gall stones, but she did order an ultrasound just to rule them out and/or to get a baseline on the number and size if there are any. I have that scheduled for tomorrow. Meanwhile I am continuing with the supplements you recommended in your blog post (minus the Beta A-F because the naturopath and I agreed that since we don’t know about any possible stones, we might not want to encourage any flushing of the gall bladder in case one might be too big to pass through the duct). Also, I am allergic to Milk Thistle, so I had to discontinue that. She added Chelidonium Plex (10 drops twice/day). I am totally amazed that you assessed my situation so perfectly without even having the chance to physically see me. It’s comforting to know that you and my primary care doctor both see this the same way. The doctor sent me for ultra sound and that told us my gallbladder wall was getting thicker, my doctor used a special name for the condition, Now 4 months later, I have more discomfort than before. Not pain, but discomfort. My problem is I am 2000 miles from home. I wonder if I should go to an ER ? That is a question I sadly can’t answer because I have no idea how severe your symptoms are. Take care of yourself though and certainly talk to someone locally! I read in one of your posts that you recommended Pure Encapsulations B Complex, but later added that hydroxocobalamin is the preferred choice for people who are sensitive to methylcobalamin. Can you also recommend a quality B Complex that contains hydroxocobalamin? Great point and great question! I actually prefer the hydroxycobalamin (or any B12) is taken separately as a sublingual (or under-the-tongue) formula, simply because the absorption of any B12 is much higher that way than it is when you swallow a capsule. So typically some combo of a B complex with whatever B12 in it and a sublingual hydroxycobalamin. Perque makes a great quick-dissolve tab and there are a couple of companies who make liquid forms that I’ve seen. No real preference between different products, it’s more the route of administration (sublingual) that’s important. Thanks Amy. I recently learned that I’m homozygous C677T, but experience side effects when taking methylfolate/cobalamin. Specifically, I get anxious after one or two dosages so I stop taking immediately; I probably just need to take longer so my system can adjust. This was the reason for my question regarding hydroxycobalamin. By the way, I have no side effects when taking cyanocobalamin within your average, mass market multivitamins. Today, I purchased the Pure Encapsulations on Amazon so I’ll see how I respond to them. Thanks again! Hi Dr. Neuzil. I recently was tested and found out I am a/c for MTHFR A1298C. I have been seen some mood improvement with 400-500 mcg methylfolate daily. I think I need a new multivitamin and/or B vitamin supplement as my old one has what it calls “Folic Acid (Folate)” in it. 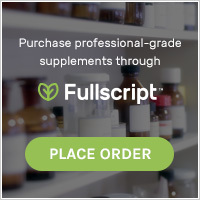 I tried to order the Pure Encapsulation B vitamin, but I have to have a practitioner’s name or fulfillment code to order. Can you provide me with a code? I have a practitioner here in Santa Fe, but her name doesn’t come up when I search on their website. I can’t find another supplement that looks decent. Sadly I can’t – all of the websites require practitioner accounts, but give amazon a try. Seems like you can get anything at all without restriction (just a little scary actually!) Let me know if it doesn’t work and we’ll figure something else out because I agree – you shouldn’t be on the multi with folic acid.